MED e-care’s Rehabilitation software enables user-friendly collection and submission of data for the National Rehabilitation System (NRS) and interfaces directly with MED e-care’s entire suite of clinical software. The NRS Grouper (RPG) and National Bench Marks are fully integrated into the NRS to allow real time reporting and help to optimize resources. 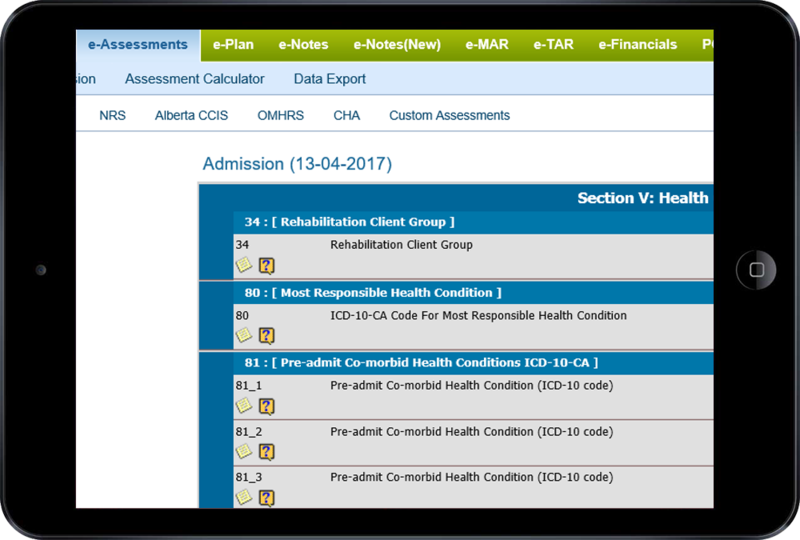 Multiple reporting and real-time data views at the hospital, program, unit and individual level. Patient Kardex that summarizes the entire assessment on a single page. Patient goal setting and action plans that are easily generated and managed. Detailed reports that use nationally accepted indicators providing detailed information about the population you serve.